viii + 205 pages, 14 essays, 130 colour and b&w illustrations, 4 tables. This collection of essays was presented at a conference in 2012 at Aberystwyth University and the National Library of Wales. It aims toexamine in detail seals from Wales and the March for the high and late Middle Ages, both to shed new light on the politics, society and economy of medieval Wales and the March, but also to draw together a variety of approaches to the recording and examination of seals and to exemplify best practice in sillographic research (page v). The conference was funded through the Arts and Humanities Research Council project, Seals in Medieval Wales, 1200-1500 (SiMeW). A future volume is planned on the research outcomes. · Seals, Status and Power. P.D. Harvey’s essay This is a seal (pp. 1-5) considers why some seals from the Anglo-Saxon and early Norman period start with the word sigillum (this is the seal of), when it is self-evidently a seal. Harvey points out that sigillum is usually preceded by the symbol ‘+’ as in the early 11th century seal of Wulfric “+SIGILLVMƿLFRICI”. Where sigillum does not appear on early seals, the symbol “+” always does. He concludes that it is the cross that is important. ‘This is the cross of Wulfric’. Nicholas Vincent’s essay The seals of King Henry II and his court (pp. 6-33) provides a detailed discussion on self-representation, self-projection and politics in the 12th century court. He shows that the seals of Henry II, his courtiers, friends and rivals combine wit, boastfulness and a deep respect for the past. Daniel Power’s essay The declaration on the Norman Church (1205): a study in Norman sigillography (pp. 35-62) is a discussion of the development of seals in Normandy and notes that by the early 13th century seals developed in patterns similar to neighbouring parts of Europe. This observation is perhaps unsurprising given the geographical location of Normandy and many Normans also held lands in England. Jörg Peltzer’s essay Making an impression: Seals as signifiers of individual and collective rank in the upper aristocracy in England and the Empire in the thirteenth and fourteenth centuries considers the extent that seal designs of counts and earls in England and Germany reflected the rank of the sigillant. It would seem that size mattered. Peltzer points out, that those not inclined to accept an authority deemed to be their superior, could at least offer a symbolic challenge with the size of their seal. Peltzer also notes that primogeniture caused seals to distinguish between the earl, his sons and other male relatives. John McEwan’s Making a mark in medieval London: the social and economic status of seal makers (pp.63-88) shows the importance of skilled seal-makers. Sealers and goldsmiths lived in the same areas and were socially connected, having the same level of economic standing. · Seals, Law and Practice Brigitte Miriam Bedos-Rezak’s essay (pp.89-100) Seals and stars. Law, magic and the bureaucratic process (12th – 13th centuries) considers the ways in which seals and sealing practices invaded medieval secular and religious thought. The seal coming to stand for both the corporeal and incorporeal. Bedos-Rezak notes that by the end of the 13th century seals were no longer mostly personal identifiers, but rather institutional seals of royal or ecclesiastical authority. Adrian Ailes (pp.101-110) Governmental seals of Richard I shows that this monarch redesigned his great seal reflecting dynastic and contemporary politics. Paul Brand (pp. 111-119) Seals and the law in the 13th century. The author, a legal historian, is surprised to see other uses of seals, apart from authenticating deeds and other formal documents. Seals were used to secure chests or boxes containing objects of value. John Cherry (pp. 121-135) Iustitia, notaries and lawyers: the law and seals in late medieval Italy points out that the use of notarised documents and seals varied over time and within jurisdictions and may have depended on the type of document to be sealed or notarised. Brian Kemp (pp.137-150) Family identity: the seals of the Longespées considers the ways in which a noble 13th century English family could maintain the symbolism of its name and the iconic ‘consequences’ of its family arms, in seal design across a number of generations. Elizabeth A. New (pp.151-160) (Un)conventional images: A case-study of radial motifs on personal seals reminds us of not only the extent of lower status personal seals surviving from medieval England and emphasises the greater concentration of such seals in the 13th century. New asserts the need for caution in identifying radial motifs as indicators of middling or lower social status of the seal-owner as examination of the material coupled with prosopographical investigation shows that people of high status and communities also had matrices with such designs. Her examples are limited to documents relating to a single monastic house, so sweeping generalisations cannot be made about use and ownership of seals with geometric or foliate motifs. Markus Späth Memorialising the Glorious Past. Thirteenth-century seals from English cathedral priories and their artistic contexts(pp.161-171) shows ways in which location and architecture are refashioned symbolically through the medium of the seal. T.A. Hislop and Matthew Sillence Putting seals on the map: Blomefield’s Plan of the City of Norwich (1746) and the constitution of civic history uses the illustrations on an 18th century plan of Norwich to show the ways in which location and architecture are refashioned symbolically through the medium of the seal and re-employed in civic plans in the mid-18th century. David H. Williams essay Seal finds in Wales deals with matrices and concentrates on the wide variety of medieval seal finds in the Principality. He identifies trends, both in the distribution and typology of medieval Welsh seal finds. 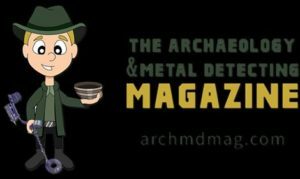 His contribution provides a sense of what archaeology and the portable antiquities scheme can offer sigillography. The essays are well researched and written in an accessible style. They will be of value to anyone with an interest in sillography, and those studying aspects of local history. 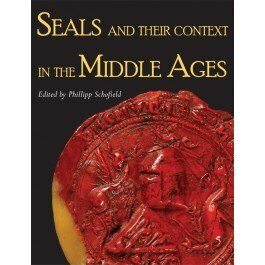 Seals and their Context in the Middle Ages is available by clicking here.